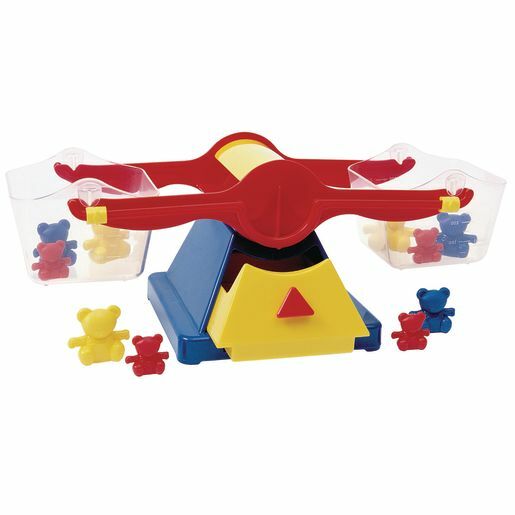 This clever balance scale uses 3 different plastic "teddy" weights for measuring. Set includes scale, 10 "teddy" weights, and an opening drawer for storing the "teddies". Scale measures 11-1/2"L x 5 1/2"W.